Powerflow Intake Race Systems - Dramatically decreases operating temperatures; By-pass airflow technology; Cools bike by maximizing cooling efficiency; Injection molded precise fit and high gloss finish. I have always been happy with the fitment of Cycra plastics, and the colors always seem to be very true to the original plastics. My front fender did arrive with some dulling in it from the plastic packaging rubbing on it, but that's pretty trivial as thats usually the first thing to get banged up when you wash the front end out anyways. I also like that they came with the foil stickers to protect the number plates from the exhaust. Much cleaner look on my bike than the stock 2-piece font plastic. oem plastic was trashed. the plastic welder can only do so much. It was time for a replacement. The stadium number plate fits and looks awesome, however the fitment of PowerFlo tank shrouds is terrible and thus was a pain to mount. Especially if you have works connection radiator guards. Maybe the non PowerFlo kit is a better alternative for the front fenders. 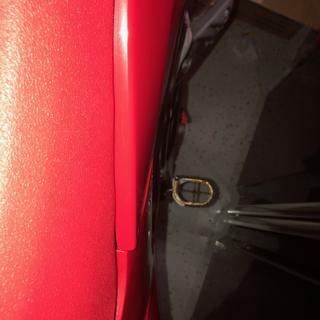 Where the front tank shroud meets the rear right fender poorly fits together and bulges out the right side of my seat. The front PowerFlo tank shrouds are crap, but the rest of the kit fit great and looks good. It is a bittersweet purchase. This is my second kit I have bought. I will never buy anything else. Fitment was perfect. Looks nice. Loving this kit so far. It really slims up the front of the bike and gives it a much cleaner look having a 1 piece shroud. The only negative thing I have to say about it is that your air filter get SUPER dirty with this set up. 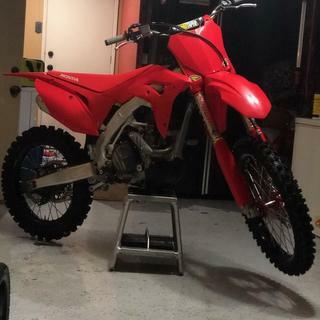 The stock set up was bad enough that I would change the filter after every ride with no questions asked. With this set up you almost need to change it between every moto its so bad. Didn't fit together perfectly but installed easily..
A Little Expensive, But Good Fitment. Got this for my Yamaha to get rid of the annoying 2 piece air shroud plastics. this kit fit good, and looks nice. holds up good in crashes as well. These plastics are really good. they fit easily, seem to flex well with out braking and the bolt holes line up. I have used other brands as well and these are every bit as good as the euro brands. These look nice when finished. Install was a little difficult if you have a radiator gaurd. The front number plate for the 2016 KX 450F does not fit well. Even using the zip ties on the fork legs the number plate moves around. The top mounting bolt works fine with the stock number plate but the Cycra plate floats and moves even with the bolt tightened. 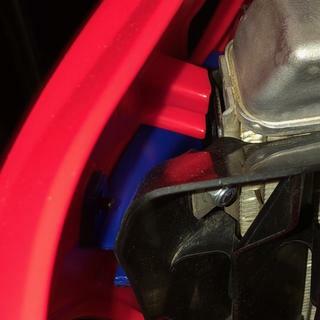 There is not enough plastic in the Cycra molding when compared to stock. If you want to run stock graphics you will see the 2 rivets that hold the "Powerflow" vents. Overall I like this kit, though I had to make a couple of simple self modifications to it. Drilling some holes, adding some screws to keep a side panel on securely. Other than that, the quality of the plastics are good! BEST ANSWER: Yes, the OEM/Stock graphics will fit with the aftermarket plastics. Do the stock number plates fit with this kit? I noticed they don't come with it. BEST ANSWER: Not sure about your question, but I ride a KTM 300XCW and it has a light stock. The plate that came with this kit did not work with a light and I had to use a stock plate. Also the right side air box cover did not fit correctly. I had to grind off some of the back of it to make it fit. Not a big deal, but just thought I would mention it. Also the stock stickers would not fit the right side air box cover. 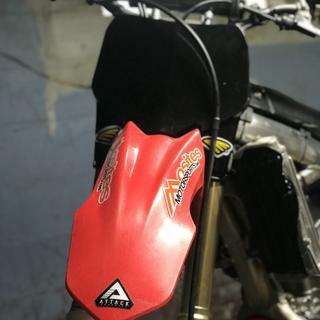 The back fender that came with the kit did not have the studs to mount the light kit that comes stock with an XCW KTM. Also the front front fork guards fit, but factory stickers do not fit on them if you get a decal kit. They do fit fine on the stock guards. The complete kit comes with the front number plate on my 2016 KX 450. The stock plate will work with the front fender also. They should come with. 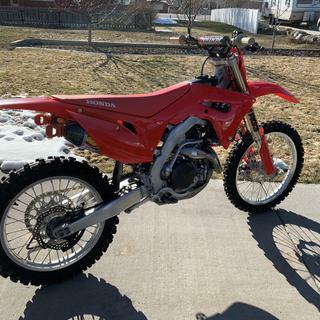 It says cycra complete body kit..
Somebody know if the battery and tail light on a YZ250FX fit on that kit ? BEST ANSWER: If it says it fits it will fit. I added an oversized tank to my 15 450 and had to cut out a small section but everything still lines up so I would assume so. It should. 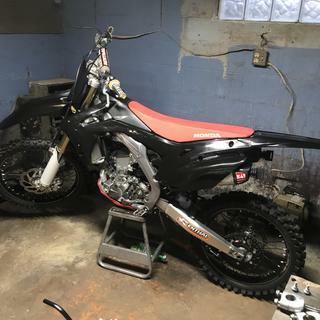 There is not much difference between the YZ and FX model body wise. Are the Cycra number panels the same as stock? BEST ANSWER: No. The Powerflow number plates and shrouds are different than stock, but they fit like stock. Depends on the bike. 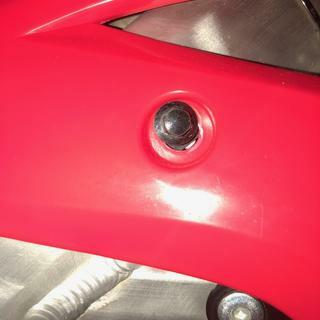 My bike comes stock with a front light and this shows the plate will fit. Well it does fit, but not with a light. 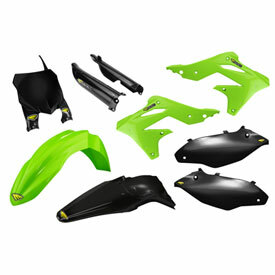 Does this kit fit on 2012 kx450f? can i get this kit for a 2015 yz250f "white front plate, white fork guards, black side panels, everything else in blue"? BEST ANSWER: Fortunately, we do not do custom kits. You can purchase each item separately if you would like. I recently bought this set for my 2015 ktm 250sx and everything but the fork protectors fit. The holes in them don't line up at all, any chance I got sent the wrong ones? BEST ANSWER: We would be happy to check. Please send pictures of the kit you received with your order number into sales@rockymountainatv.com. BEST ANSWER: These are made to OEM specification. They should work with the tank as long as it was made for your machine.